I have been reading about the dangers of fluoride for the past year how fluoride is a neurotoxic substance and can cause brain damage, how it can reduce IQ levels, how ingesting large amounts can cause kidney damage and kidney disease, can cause bone cancer. I have read how many people are against cities water treatment plants putting fluoride in our drinking water without our permission and often times the additional amount can be unregulated and testing can show the added amounts sometimes the levels are dangerously high. The main reason our country adds fluoride to our water supply is to protect teeth, but when children are exposed to excessive levels of fluoride it results in dental fluorosis that will actually destroy teeth by making them mottled and rotting them from the inside out. This is why you should store your fluoride toothpaste out of reach of your young children and why they have training toothpaste to teach children how to spit out all toothpaste. I am against adding fluoride to city water. Only 10 countries in the world add fluoride to their drinking water and 50% of all treated water is in North America. Most dental research confirms that fluoride’s main benefit comes from direct topical application to teeth not from a systemic application by ingesting it. Since I do not have a home reverse osmosis filter to remove fluoride that is placed in my water, and my fridge filter does not eliminate fluoride, I decided to do what I could to try to minimize fluoride exposure. I have all along had my kids brushing with training toothpaste once per day, and fluoride toothpaste at nighttime. My son is now four and can easily spit out his toothpaste, so I am comfortable with him using fluoride toothpaste occasionally when I am supervising him. I figure since they can’t avoid the systemic treatment when drinking water every day or taking a bath, they get plenty of fluoride as part of their daily lives. Our pediatric dentist office claims that children under the age of 6 don’t need any more fluoride than they get from drinking city water because the risk of overexposure is so much more dangerous. I started brushing with Natural, fluoride free toothpaste, stopped using fluoride toothpaste for six months. I have been going to the same dental office for about 4 years now and I had two perfect checkups in a row. I get annual x-rays per my insurance. 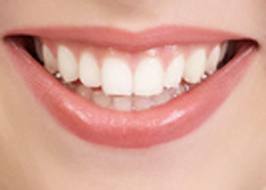 I am not going to say my teeth are perfect, but my teeth health is important to me, you only get one set of adult teeth so I want to take care of them. After 6 months of brushing multiple times per day with non fluoridated toothpaste and going in last week for a checkup. I did not share my fluoride free test with my dentist and hygienist so they had no idea what changes I made in my life since the last time they saw me. The dentist showed me my digital x-rays that showed shadows of three cavities forming on the surface of my teeth despite the fact that I brush and floss daily. He was concerned at the rapid changes in my teeth. He told me that none of the shadows in my enamel were cavities yet, but they would be in six months to a year. He suggested I start using ACT Fluoride mouthwash, I could buy a fluoride gel treatment like they apply for kids, or buy a high fluoride content toothpaste and I might be able to fight off those cavities. Since I could see the x-ray proof right in front of my eyes compared to the last x-ray 1 year before, I said very interesting. I opted out of their treatments and chose to run over to Wal-Mart and pick up a bottle of ACT fluoride mouthwash and a new tube of Colgate fluoride toothpaste. I came home threw away my natural fluoride free toothpaste and I decided I am back on fluoride. I hope I am able to reverse the presence of these three cavities forming on my top layer of enamel, but if not, I learned a very expensive lesson on the importance of topical application of fluoride on my teeth. One Response for "Fluoride Free for Six Months"
I read an article recently that showed what was happening to people who lived in areas where their ground water was contaminated by high levels of fluoride. Rotted teeth, bone deformities, all sorts of bad stuff. But these levels were crazy high. I think that especially with the high sugar diet that we eat here in the U.S., especially that along with all the rest of the foods we eat that rot our teeth, small amounts of fluoride seem to be for the best. I also get worried about what is chosen for us “for the good of most” what’s really going on. But I see how safe the majority of U.S. citizens are, especially in comparison to nations where U.S. corporations have pooped all over their environment and I feel better.